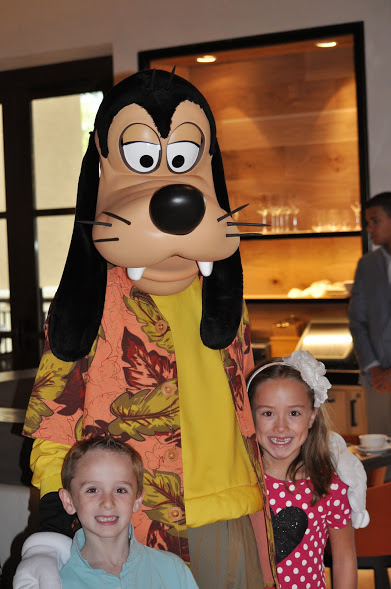 The Good Morning Breakfast with Goofy and his Pals at the Four Seasons Orlando at Ravello was one of the absolute very best and most magical Disney character meals we’ve ever experienced. 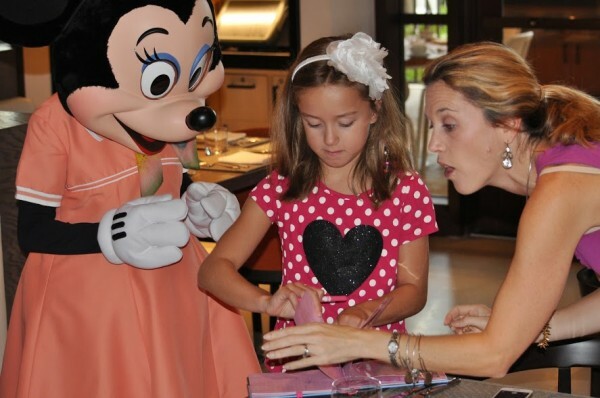 Like everything Four Seasons, the attention to detail was above and beyond as the Disney characters visited guests again and again for countless interactions and photo opportunities. Check out our Four Seasons Disney Character Breakfast Video and Photos below. The breakfast was amazing with the world’s best homemade sticky buns EVER, food inspired from all over the world, and of course an omelette bar which is my fave. For my gluten free kidlet, they were super attentive as well with the Chef bringing him out homemade gluten free muffins and treats to enjoy while they whipped up his gluten free chocolate chip pancakes. What Characters attend the Good Morning Goofy and his Pals Breakfast?? Well obviously, GOOFY is in the house, but as you can see by our photos the most adorable Mickey and Minnie were bopping around for tons of interactions dressed to the nines in their resort wear. 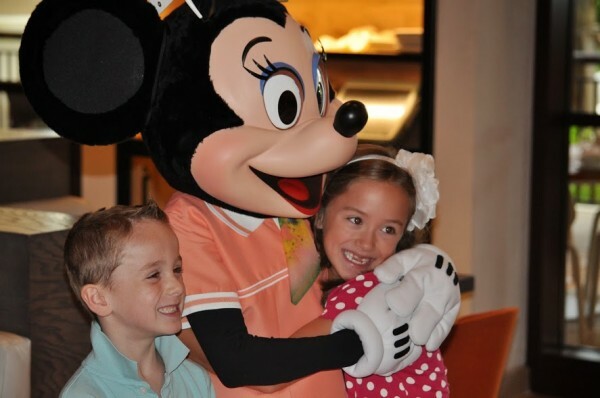 Kenize is in absolute LOVE with Minnie and her cute outfits so she was thrilled to be up close and personal with her. 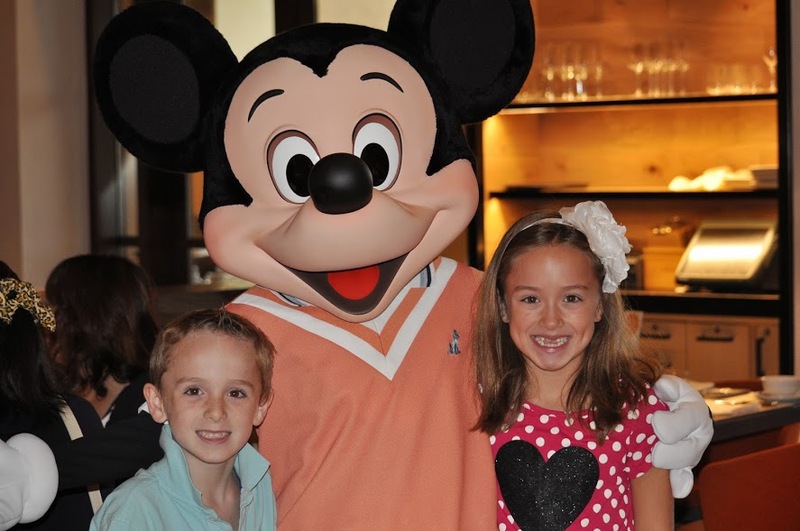 And Kyle adores Mickey so he was star struck by him too. So much fun. And of course all the characters were more than happy to give us their autograph too. My kids LOVE collecting signatures from the Disney crew so this was a great opportunity to grab the John Hancock of the most famous Disney characters. Thanks to the Four Seasons Orlando for hosting us overnight at their gorgeous new resort. As always, all thoughts and opinions are our own.